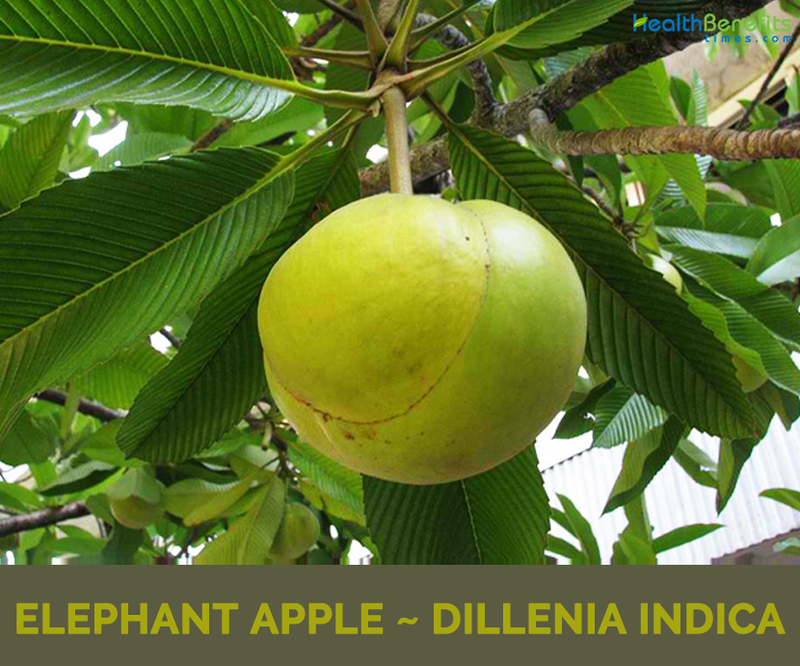 Elephant apple, binomially known as Dillenia indica is an evergreen large sized shrub that belongs to the Dilleniaceae family. The plant is native to southeastern Asia, from India, Bangladesh and Sri Lanka east to southwestern China (Yunnan) and Vietnam, and south through Thailand to Malaysia and Indonesia. 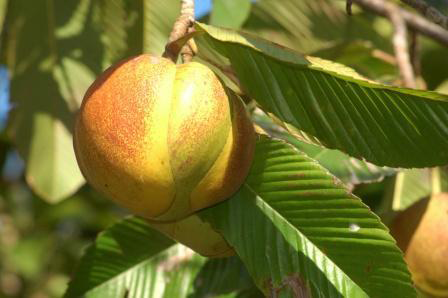 Other Common names of the plant are Chulta, Hondapara Tree, Ma-tad, Elephant Apple, Simpoh Air, Simpoh Kuning, Simpuh, Chalta, Indian Simpoh, Chimpoh, Simpoh, Simpor, Peradun and Tipor. English name, elephant apple came from the fact that in its native range, it is quite popular fruit among local wild elephants. Fruits are enjoyed and distributed by wild elephants, thus the popular name Elephant Apple. Fruit can be consumed both in ripe and unripe stages, and it is normally used for making chutneys as well as other popular pickled dishes. Fruit comes into season during fall months, depending on the region, with maturity in October and November and a lengthier harvesting period from October through March. Elephant apple is an evergreen large shrub or small to medium size tree growing to 15 m tall. The plant is found growing in evergreen forest or tropical rain forest, often along rivers and normally prefers well-drained sandy loam. It also grows best in a rich, slightly acid soil. Trunk is straight with 6 feet in girth, with a dense rounded crown, straight but not high. Barks are reddish brown in color and exfoliating. 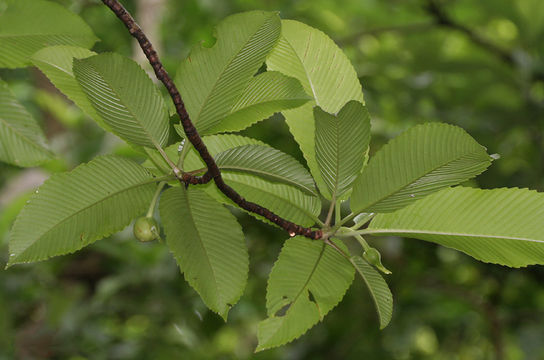 Young branchlets is brown pubescent, glabrescent and contains leaf scars. Its branches are used to make good firewood. Leaves are found growing crowded together at the ends of the branches and are oblong-lanceolate, acuminate. They are 20-30 long and 10 cm wide and have sharply serrate, the nerves close, running into the serratures. The upper surface and the nerves beneath are more or less pubescent. Flowers are single; 12–20 cm in diameter, bud is more than 5 cm in diameter. Sepals are 5 in number, nearly rounded, orbicular, concave, 4–6 cm in diameter, thickly and fleshy. Petals are 7-9 cm in size, white and obovate. Stamens are found in 2 distinct groups, outer very numerous, somewhat curved in bud, inner ca. 25, apically reflexed outward in bud; anthers are dehiscing with 2 pores. Carpels are 16–20 in number. Numerous ovules are found per carpel. Flowering normally occurs from May-June. Fruit is large, knobbly, greenish- yellow and sub globose up to 12 cm diameter, consisting of collective of 15–20 carpels, each carpel consists of 1–8 small, brown hairy fringed, exarillate, endospermic, compressed, reniform seeds surrounded in an edible, glutinous pulp and is made up of the large fleshy imbricate sepals which strongly enclose the true fruit. Fruit pulp is bitter-sour and are used in Indian cuisine for making curries, jam and jellies. It is habitually mixed with coconut and spices to make chutneys. 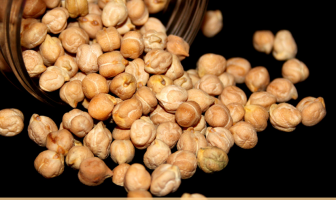 It is far used in Dal and in fish preparations in Assam. Elephant Apple is native to the East Indies – from India, Sri Lanka east to southwestern China (Yunnan) and Vietnam and south through Thailand to Malaysia and Indonesia. 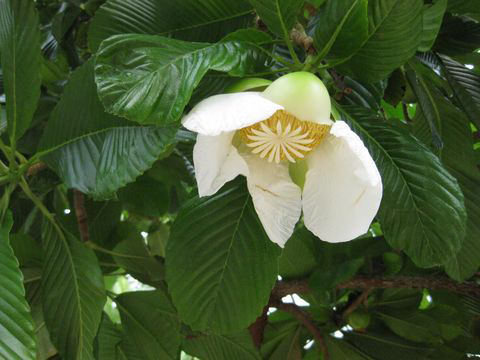 The plant Dillenia indica L. consists of number of classes of compounds such as phenols, tannins, alkaloids, flavonoids, saponins, sugars etc. The bark, fruit, leaf and stem of D.indica L. contains betulinaldehyde, betulinic acid, lupeol and dillenetin. The fruit and stem contains myricetin and isorhamnetin. The bark and sepal contains betulin. 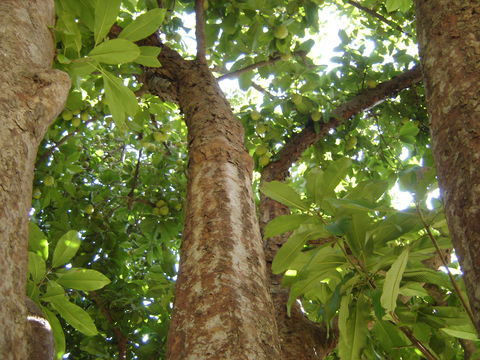 Stigmasterol is found in the leaves and stem while β-sitosterol is found in the bark, fruit and leaves. The fruit also contains cycloartenone and n-hentriacontanol. A total of eleven compounds were reported but there is still lack of knowledge on details of chemical constituents present in different parts of D.indica L.
In case you are tired of eating bananas just to keep your blood pressure in normal range due to its potassium content, Elephant apple is one of the best alternatives. With these exotic treats, it can be easier to keep high blood pressure at bay. Elephant apples are good sources of vitamin A, nutrient known to keep the eyes healthy. Eye experts say that there are a number of eye issues that can actually lead to vision loss, and, most of them can be cured by outstanding diet that’s rich in vitamin A. Regular used of Elephant apple is considered quite beneficial for taking good care of your eyes. Elephant apples consist of good amount of vitamin C. We all know that vitamin C is very important for maintaining a strong immune system. If you are susceptible to have flu, cold or any other type of infection, then frequent use of vitamin C-rich fruits like elephant apples can work to your utmost advantage. Use it frequently. Vitamin C is also extremely beneficial for people who want to look young. It is the fact that Vitamin C is essential for the synthesis of collagen, which is a type of protein that helps to make skin firm so that it can become less vulnerable to wrinkling. Furthermore, vitamin C is an antioxidant that fights off free radicals that quicken skin aging. Elephant apples contain abundant amounts of B vitamins. If you feel weak quite easily, then consuming these fruits can help you in making you more energetic. Similarly, B vitamins are not only energy generators. They are also significant for keeping your brain and nerve cells in an excellent condition. Iron can also be found abundantly in Elephant apples. Thus it is recommended to consume elephant apple on a regular basis by those who are suffering from iron-deficiency anemia. 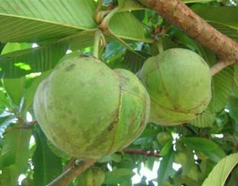 Regular use of Elephant apples can also help in flushing out impurities and toxic substances in the bloodstream. Elephant Apple is remarkably exclusive in stimulant and safe framework. This organic product helps to secure the kidneys reliably. Antiquated Indian researchers make use of elephant apple as the best typical medicine to expel kidney issues. It is likewise lucrative for liver and heart. As we all know that tannin-containing substances are quite beneficial for endless loose bowels and stomach torment. Elephant Apple blends the bark of the tree along with nectar and plays an important role for such stomach issues. This natural product extracts fills in as a preventive prescription for cholera and many more. 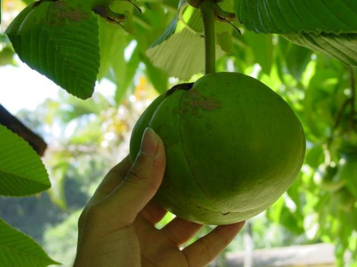 Elephant apple is broadly used because of its medicinal values. 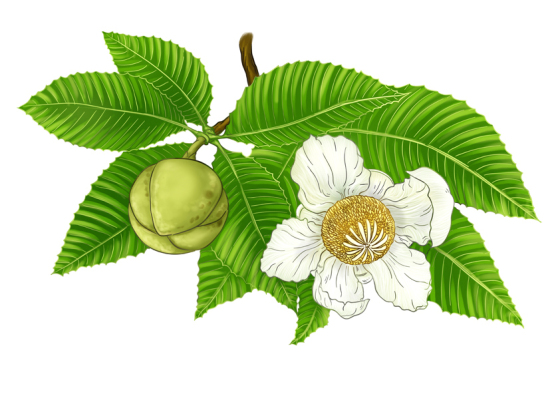 Its barks and leaves are used as a laxative and astringent. Fruit juice is also used as a cough mixture and a cooling beverage for toning up the nervous system. In Ayurveda Elephant apple is considered as a ‘vat’ suppressant, ‘pitta’ supplementing drug. Fruit juice when mixed with sugar and water can be used as a cooling beverage for fevers and cough mixture. Leaf, fruit and bark of the plant are used in the indigenous system of medicine. It helps to relieves abdominal pain and controls the heat in the body. Fruit also helps to tone up the nervous system and take out fatigue. Fruit juice is commonly used as a cardio tonic. 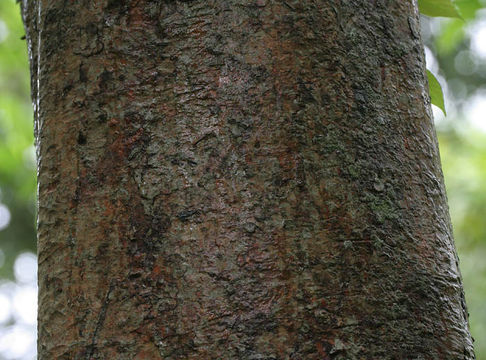 Bruised bark can also be used as a cataplasm for patients with arthritis. Alcoholic extract of the Elephant apple leaves is considered to have central nervous system (CNS) depressant activity. Plant is aphrodisiac and normally promotes virility. Fruit is sweet, acidic, astringent, removes bile, phlegm, fetid and flatulence. Green fruit is acidic, pungent, hot, removes wind, phlegm, but the ripe fruit is sweet, sour, appetizing and beneficial in colic associated with mucous. Decoction of the plant can also be used as widespread antidote for poison. Juice from fruit can also be consumed as a treatment of heart related diseases. In the tribal areas of Mizoram, juices from leaves bark and fruits are combined and given orally for the treatment of cancer and diarrhea. Fruit is kept beneath the bed for prevention of small pox and cholera in Assam. Assamese people use the fruit as natural pesticide during paddy farming. Bodas people use the fruit to cure stomach related disorders. Fruits are used for curing hair fall and dandruff by Manipuri people. Rajbongshis applied mucilage on wounds and burns. Fruits are consumed to combat weakness by Mikir people. A decoction of fruit is used as anti-dandruff and applied on head to check frequent hair fall. Fruit is also eaten to combat weakness. Decoction of fruit is used to remove dandruff. Small piece of leaf is consumed in the treatment of dysentery. Root is used as prophylactic for cholera. Roots are also one of the main ingredients of a paste used in the treatment of burning sensation in the chest. 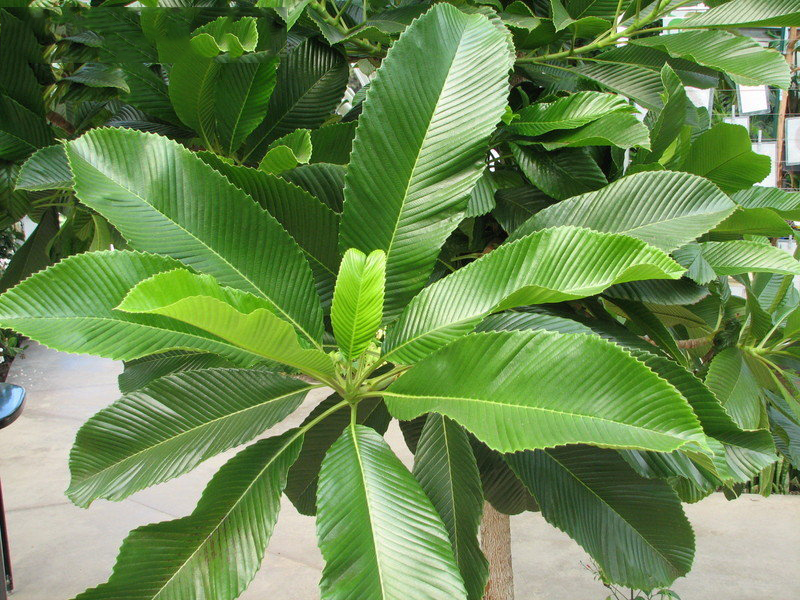 Its bark is used therapeutically to treat the infection of the mouth. 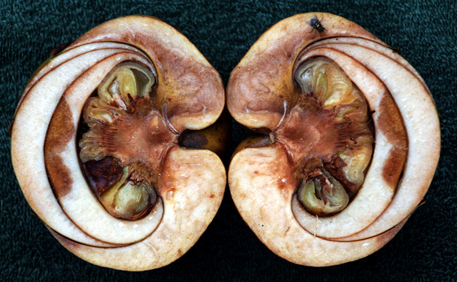 Fleshy sepals enclosing the fruit are also eaten. Fruits are sour in taste and are normally used to flavor food. 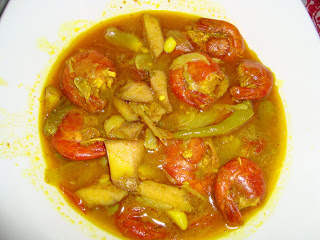 Fruit pulp is used in jellies, jams, curries (particularly prawn curries) and drinks. Sepals of the flowers are used for preparing Syrup. 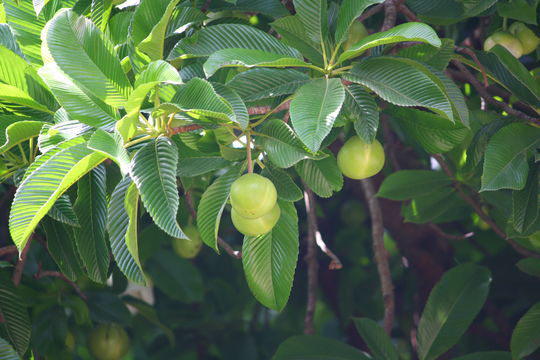 Unripe fruits are cooked for making chutney and pickle in Thailand. Young fruits are sliced and added to sweet and sour soup called kang som. Juicy pulp is quite aromatic but is very acidic. Sour fruit are consumed by individuals living in the mountains of southern Yunnan and adjacent Guangxi. Unripe fruits are used to make curries due to its sour taste and ripe fruits are used for making pickles in most parts of Assam. 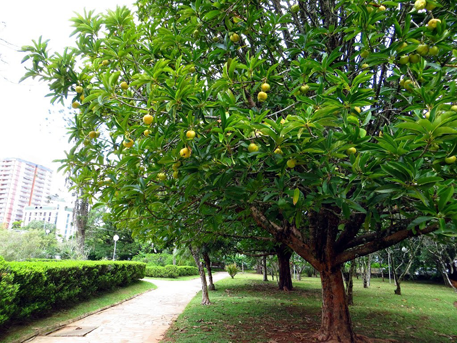 Tree is highly cherished for its large, good-looking and fragrant flowers and is normally planted for ornamental purpose and as a timber tree. Pulp of the fruit can also be used as hair shampoo. In India Timber are used for gun stocks and helves, ship building and in house construction. It is used for telegraph posts in Java. Water containing stem extract when sprayed, on and around the wound caused by spider bite helps in eliminating the poison. During the festival Kati Bihu in paddy field, Carpels of the fruit are used as oil lamp. Fruits are usually rubbed in water to make soap. Pulp is used in ancient times as a hair wash. Leaf juice when applied to the scalp prevents baldness. Dried leaves can be used to polish ivory. Wood ash when added to clay bricks it increases their fire resistance. Wood, which is temperately hard and has durability under water of around 3 years, is occasionally used for house-building or gunstocks. Growing Climates Occurs in the moist and evergreen forests of the sub- Himalayan tract. It is commonly seen along banks of forest streams. Fruit is slightly laxative and induce diarrhea, if taken excessively.